Welcome to the Southern Region Website! The Southern Region T Shirt is Here! Proceeds of this shirt will benefit a Live Your Dream Award. All Shirts will be brought to the conference to distribute. Place your ad in the Southern Region Conference Keepsake Program! Pick your ad size , fill out form , and print out your emailed receipt for directions. Send artwork and payment by March 1st. 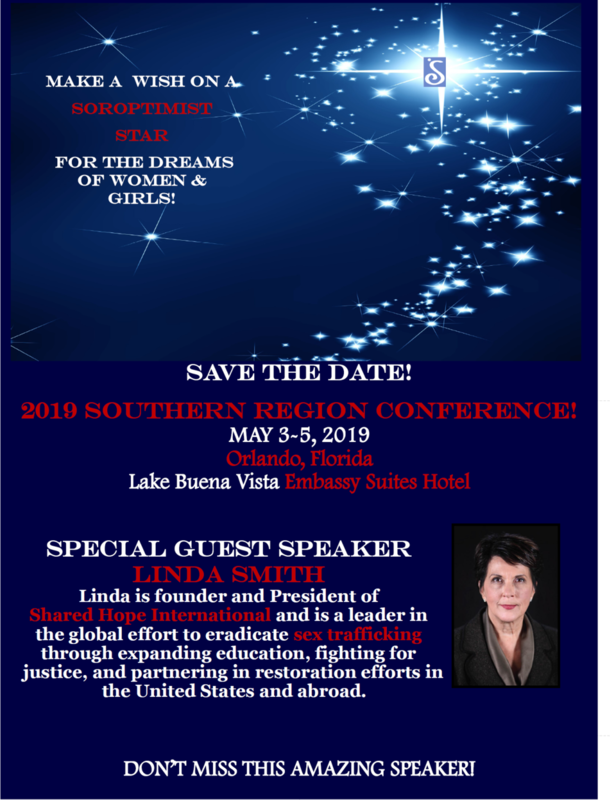 Soroptimist International of Southern Region was organized October 20, 1946.